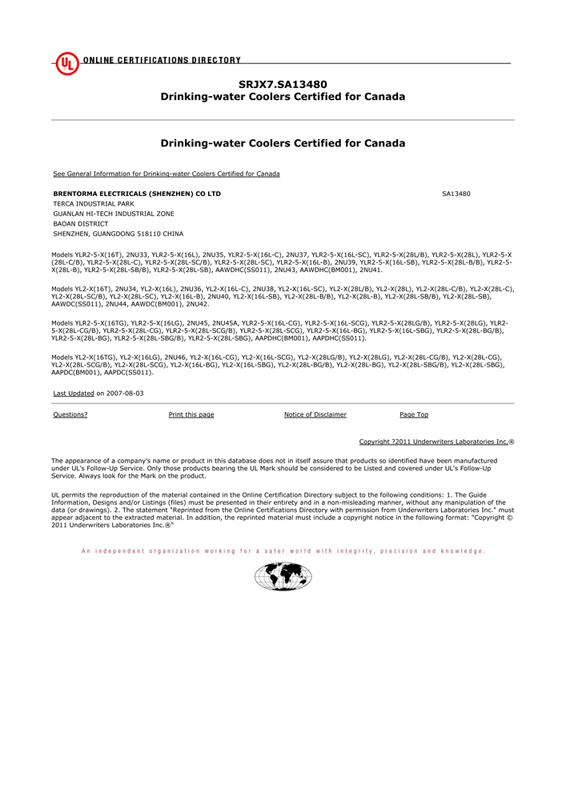 Brentorma has obtained CE, UL and C-UL certifications for most of our bottled water dispensers and point of use water coolers, and GS for our key products. For details, please contact us. The CE mark is a mandatory European marking for certain product groups to indicate conformity with the essential health and safety requirements set out in European Directives. The letters 'CE' are an abbreviation of Conformité Européenne, French for European conformity. 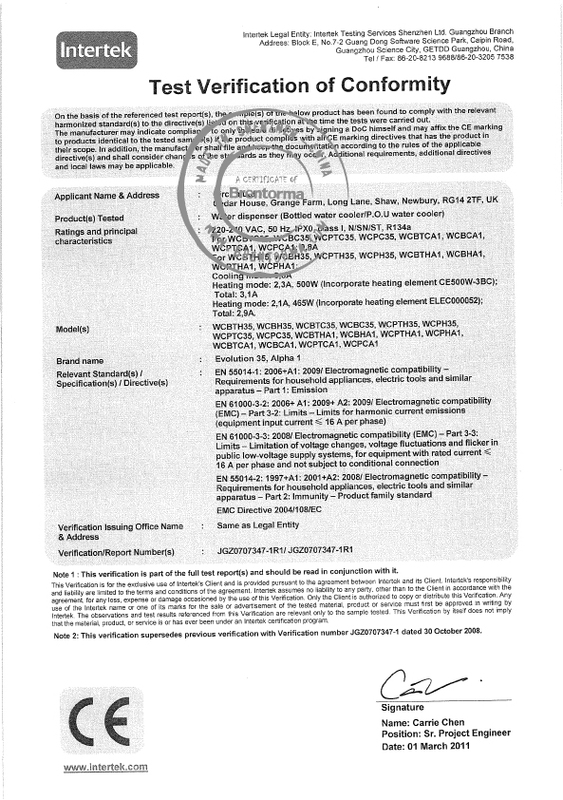 The CE mark must be affixed to a product if it falls under the scope of the approx. 20 so called 'New Approach' Directives. Without the CE marking, and thus without complying with the provisions of the Directives, the product may not be placed in the market or put into service in the fifteen member states of the European Union and Norway, Iceland and Liechtenstein. However, if the product meets the provisions of the applicable European Directives, and the CE mark is affixed to a product, these countries may not prohibit, restrict or impede the placing in the market or putting into service of the product. 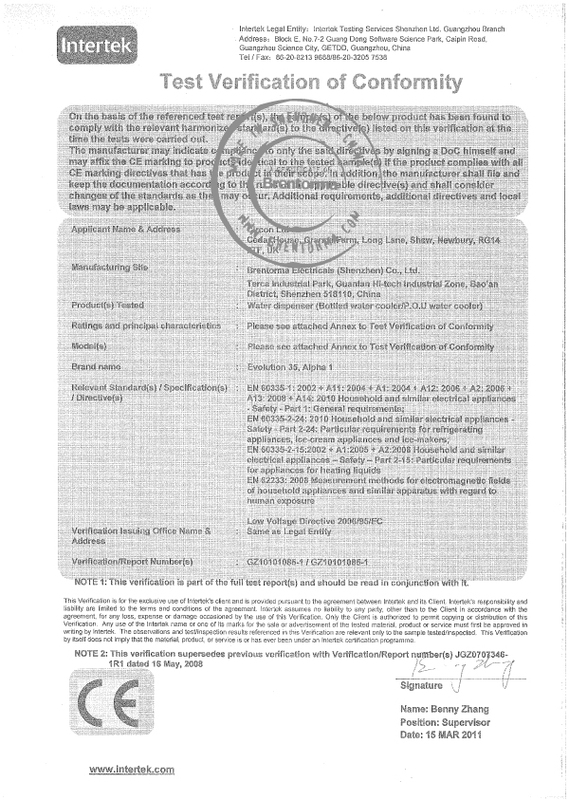 Thus, CE marking can be regarded as the products trade passport for Europe. The GS Mark, which stands for Geprüfte Sicherheit (approved safety), although strictly voluntary, is highly regarded by German consumers and manufacturers alike. 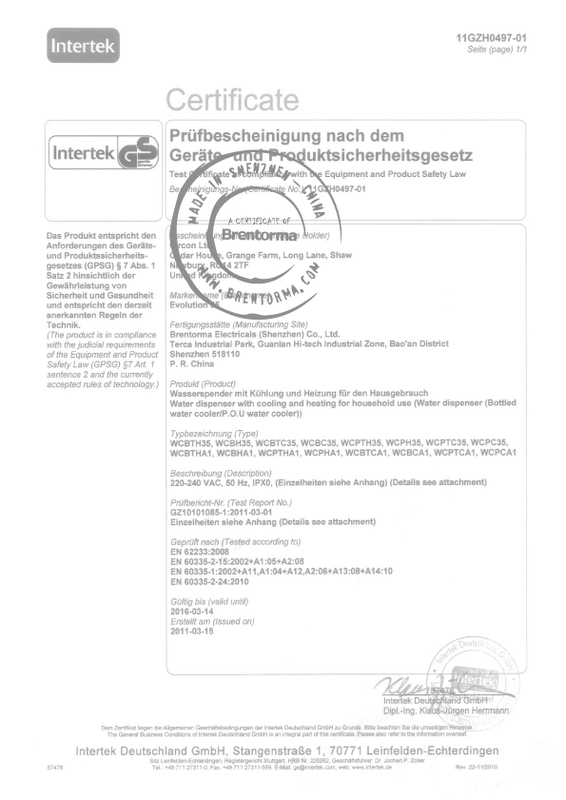 The GS sticker indicates that the product was tested and certified for safety according to the "German Equipment Safety Law" by a trustworthy, independent institute. The GS mark is a type-approval mark, followed by periodic factoryinspections covering the quality system for the product's production. This law requires the certification body to frequently check (usually annually or every 2 years, depending upon the certificate) whether the manufacturer is able to maintain all the specifications of the tested product in his mass production. During this factory inspection, the certification body evaluates the implementation of the quality system as relevant for the production, the production environment, and production related testing and measurement equipment. So, the GS Mark lends itself as a powerful marketing tool throughout Europe because it symbolizes safety and quality, and instills a strong sense of confidence among consumers. The UL stands for Underwriters Laboratories, which is an independent product safety certification organization that has been testing products and writing standards for safety for more than a century. 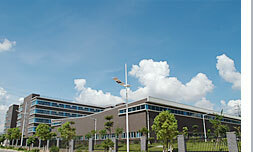 A product certification or facility registration from UL is a valuable marketing tool. It means your product or company has successfully met stringent standards for product safety or management system compliance. This UL mark combined C and US indicates compliance with both Canadian and US safety requirements. With this safety mark, regulatory authorities in both US and Canada will readily identify your product as meeting applicable requirements. The UL mark combined C is called C-UL and equal to CSA.